Restyling, revising, and repurposing are trending terms. When you tag on the word sweatshirts, you might think of Nancy’s friend and frequent Sewing With Nancy guest Mary Mulari. Since the early years of Nancy’s program being on TV, Mary Mulari has been the resident sweatshirt makeover expert, whose ideas are timeless. During this repurposed Sewing With Nancy series, Mary and Nancy decided to revisit some of their favorite transformations. A sweatshirt is an ideal palette for expression. Start with a collection of 2-1/2″ fabric strips. With creative stitching, turning, and pleating they’ll show you how to convert a pullover into a cardigan that has visual motion. This sweatshirt makeover is called Stripes in Motion. Not all sweatshirts, when restyled, end up as shirts! Take a bolder stance and remove the sleeves of a sweatshirt to create an upcycled vest. The Serge and Twist Makeover features 1″ strips cut from the sleeve fabric with serging along the edges. The idea of serging and then twisting the strips before topstitching to the vest front makes for a subtle, yet crafty embellishment. Adapt one of Mary’s innovative techniques to repurpose a pullover into a cardigan. Then add a colorful blossom and a graceful vine with leaves to the sweatshirt front. It’s a simple addition with great impact and one of our favorite sweatshirt makeovers. Now it’s time for an asymmetrical styling of a sweatshirt. It’s called the Orient Expression Sweatshirt. Start with a typical sweatshirt and remove the original neckline and hemline. Throwing tradition out the window, use the bottom ribbing to transform the shape of the neckline ribbing. Curious as to how it all comes together? The solution is—watch online. Make a casual sweatshirt even better with the addition of another favorite fabric—denim. Bias strips cut from old jeans trim the neckline, sleeves, and the centers of floral appliqués. A sweatshirt and a beloved pair of worn jeans are all you need to create this Denim Do-Over Sweatshirt! 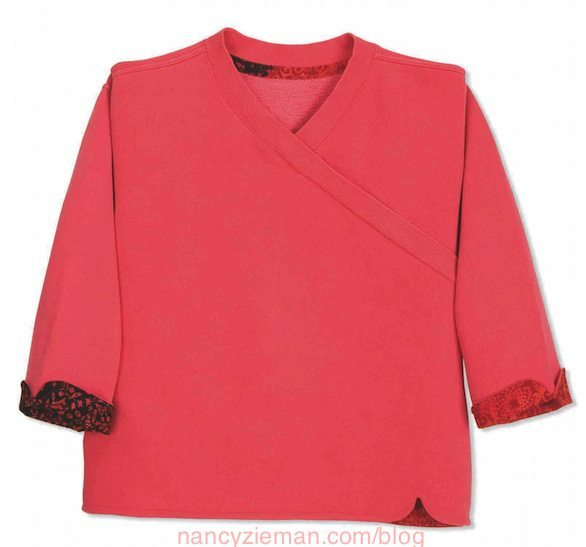 We hope you’ve enjoyed taking a journey through a few of the Sewing With Nancy archives, highlighting our favorite sweatshirt makeovers. As always, thank you Mary for adding your insights on how to upcycle, transform, and repurpose cozy sweats! 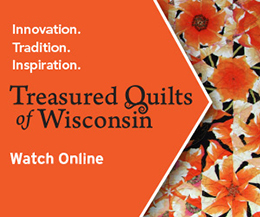 Watch Best Sweatshirt Makeovers (Part One and Part Two) on Sewing With Nancy online. Add plackets, zippers, simple appliqués, and so much more. This collection of five books in one boasts 56 sweatshirt transformations for adults and kids. As an added bonus, the book also features a Sweatshirt Gallery with over a dozen designs chock-full of even more fresh ideas! Full-color photos and illustrations accompany step-by-step instructions and full-size pattern pieces. Soft cover, 116 pages. Only $19.99. Tell us your favorite sweatshirt makeover featured in this blog for a chance to win a copy of The Best Sweatshirt Makeovers book. I am a denim person, so I like the denim re-do the best! Thank you for ideas to take a plain sweatshirt to extraordinary! I like the Serge and Twist. I hadn’t thought of making a vest! I like the “pink blossom” version – very clever! Denim Do Over is a favorite of mine. It’s hard to believe that a little denim can raise the lowly sweatshirt to a must have top. I think the transformation is beautiful. The Orient Express is a classy look. The Orient Expression sweatshirt is very nice. I would like to make that style of shirt. The Orient Expression sweatshirt – so sweet! The Orient sweatshirt makeover has a look I have not seen before and may be easy to try. Winning the book would be fabulous. I love the simplicity of the Orient Expression makeover. Such a simple style, but who would ever suspect it started out as a humble sweatshirt. I love the Pink Blossom! I was fortunate to be able to see Mary, Rita and Nancy during the Friday Night show at the Puyallup Sewing Expo. Thanks for bringing back some fun memories. (And I have a couple of Mary’s books, which she autographed for me – she was surprised I had those “old ones”! I love the denim makeover. The pink blossom cardigan is a joyful expression of clever sewing from an ordinary sweatshirt. This is the one that I would choose to make. I really like the Stripes in motion. And reinventing the vest is a great addition to my winter wardrobe. They are all clever and cute but I really like the Orient Expression idea with the v neck. I like the Orient Express and Denim DoOver. I would like to know a good source for a quality sweatshirt. There was at one time some in the catalogue but I don’t see them anymore. I do not like the ones at the Nig box stores. Please advise. I hope I win!. What a fantastic book! I love all the creative ideas for making over a sweatshirt. My favorite is the Orient Expression Sweatshirt. Thanks for the great giveaway. I really like the Stripes in Motion and the Orient Expression. I can’t wait to try my hand in recreating them, I just hope I can do them justice. The blue jean, orient express are my favorites, but the vest is a great design to dress up or down. I have looked for these reimagined sweatshirts at craft show but can’t seem to find designs I really like, for my 95 year old Mother and myself. With the book I will be able to learn the “how tos” of making these cool redisignes. Thanks for the opportunity to win the book. I love the denim makeover sweatshirt as well as the Orient Express shirt. I have really been wanting to try this. The denim shirt is my all time fav. The stripes in motion and the denim do over are my favorites, but I love them all. I am a sweatshirt lover and since I have many sweatshirts I would love to win this book to make over a number of them to have the creative touches that Nancy demonstrated. I love the denim do-over sweatshirt. My husband just gave me 2 pairs of holey jeans. I would love to use the good parts of the fabric to make this sweatshirt. It’s so creative! I like the denim makeover as well as the one Nancy is wearing. Great ways to change them up. I like the stripes in motion the best. The one Nancy is wearing. Wow! Talk about a way to update a wardrobe economically and beautifully, this is it. Plus, the warmth from the sweatshirt is ideal for this time of year. I have two favorites … Orient Expression and Denim Do-Over. I like the serge and twist vest. I main thing I really like about many of these sweatshirts is removing the ribbing from the hem. I like that smooth look at the hem. Love the Serge and Twist vest. Great ideas for making sweatshirts a little more fashionable. I like the Denim Do-Over. It’s casual but could be casual-dressy also. Mary Mulari has great ideas for sweatshirt re-makes. Stripes in Motion is my favorite featured here. I like the Pink Blossom cardigan–very pretty! The Denim Do-Over, I have oodles of denim fabric to play with. I would love to have one of each! I would probably make the stripes in motion one first. The stripes in motion is my favorite, but I would also make the serge and twist. Great ideas. I like the Stripes in Motion and the Orient Expression Sweatshirt. Orient Expression is ‘tops’ in my book! I can see a turtleneck under that–it must be winter! Hmm. I am working on a sweatshirt makeover right now to use as a QOV jacket to make folks aware of the work our QOV group does for veterans. Would love to win this book. I am intrigued with the Orient Express sweatshirt makeover. It is stylish and unique. I really like the Orient Expression sweatshirt. I really like the serge and twist sweatshirt makeover. I wear a lot of vests and this one looks quick and easy and fun to wear. I like the denim makeover. Really like the Orient Expression version. It’s classy and simple! Sure would like to make it! Stripes in motion. A good idea for my new sweatshirt.